Back to School for Civil Engineering Students: What’s the Focus of Your Year? This week, my three kids are each in different camps again, which will make for scattered mornings (and a crazy week overall). It’s easier to stomach now, though, because I know it is all coming to an end soon. In about a week, all three of them will be back in school, which means we’ll all be back to a regular routine. I remember being in elementary and high school and how I always wanted the summer to be longer than it was. Then in college, I was somewhat indifferent. I liked working in civil engineering internships, but I also really enjoyed college. Now, as a father, I guess I look forward to getting back to a routine. As a civil engineering undergraduate student you are going through a critical time in your career. This is the period when you are not only learning about the fundamentals of civil engineering, but you’re starting to make connections in the industry. Through your fellow students, professors, and internships you are starting to build a professional network that may impact you for years to come, whether you realize it or not. Your goals as a civil engineering undergraduate student should vary depending on what year you are currently in. In the spirit of back-to-school, here are some potential goals/mindsets and recommendations for the different stages of civil engineering undergraduate school. As a first-year civil engineering undergrad you might be nervous, and rightfully so. This is a big transitional year for you, especially if your school has required you to move away from home. Don’t overthink things this year. Focus on getting settled and making friends. Don’t overthink things this year. Focus on getting settled and making friends. The one thing I recommend you start focusing on with respect to civil engineering is the question of which discipline to focus on (especially if your school requires you to study a specific track of civil engineering). During the second half of freshman year, even though you are just getting started, do an intensive search for a civil engineering internship (here are some tips for doing so). The earlier you find one, the easier it will be to make decisions about which discipline to focus on. You’re a veteran now. Well, kind of. This year you can spend less time on getting settled and more time on choosing which electives to take, both in engineering and beyond. Consider going for a minor in a topic that would be a powerful complement to civil engineering, like business. Consider going for a minor in a topic that would be a powerful complement to civil engineering, like business. Also consider getting more involved with extracurricular activities that will enrich your college experience and help you to expand your network. I spent my second semester studying abroad in Brussels, Belgium, and it was absolutely life-changing. I’d recommend setting a goal this year of landing a civil engineering internship for the summer, especially if you weren’t able to get one in your freshman year. Now you’re getting deeper into civil engineering. Classes will get more intense, assignments more difficult, and collegiate relationships stronger (because you will all spend more time together in the lab). This year you really want to focus on what discipline to specialize in as a civil engineer (here’s some help with this), as that decision may drive your internship search and will definitely drive other decisions, like: which employer to work for after graduation and/or whether or not to seek a master’s degree – either postgraduate or in a five-year program. One way you can make this decision easier is to take classes in the discipline you might be interested in, such as Advanced Structural Engineering or Land Development, depending on your school’s offerings. I would also recommend that you reach out to practicing civil engineers in different disciplines and interview them about the work they do; your alumni office may provide contact information to assist you in doing this. At this stage, an internship is a must, possibly one during the school year, but definitely the summer following. Here’s another article on selecting your discipline that might be helpful. This is it, the end of the road … or just the beginning, depending on how you look at it. While senior year is a time when many undergraduates blow off steam and enjoy themselves, I’d make a case that it can end up being one of the most important years of your life (sorry if this scares you). I say that because you will make some decisions this year that may drive a good part of your future, like: which master’s degree program to enroll in, what geographic region to live in after graduation, what company to work for, and what expenses to take on (e.g., an apartment, a new car). While senior year is a time when many undergraduates blow off steam and enjoy themselves, I’d make a case that it can end up being one of the most important years of your life (sorry if this scares you). Again, I’m sorry if I’m taking the fun out of senior year here, but my intention is to inspire you to be very thoughtful during this important time in your life. Consider working in a location close to your family (or even living with your parents for a few years); family support is important at a young age, and living at home, while it may seem a shame to some, will allow you to save money that can help you down the road. If you decide to go the master’s degree route, consider doing it part-time while immediately starting to gain experience (and maybe even finding a company to work for that will pay for your degree, like mine did). Gaining immediate experience will allow you to take your P.E. exam earlier rather than later. The decisions you make in your senior year will have a big impact on your civil engineering career and life, please be aware of that. A few other considerations for soon-to-be civil engineering graduates: focus on getting your license, work in the field early on, and consider becoming an expert in a niche (why and how). As you can see, getting back to school is much more than just getting the right books and making sure you bring enough toiletries with you – it’s about setting yourself up for a bright future as a civil engineer. Please share in the comments section below some of the strategies you use/used in preparing for the school year. Anthony Fasano, P.E., M.ASCE, is the founder of the Engineering Career Coach website, which has helped thousands of engineers develop their business and leadership skills. He hosts the Civil Engineering Podcast, and he is the author of a bestselling book for engineers, Engineer Your Own Success. You can download a free video series on his website that will give you the tools needed to immediately improve your networking and communication skills by clicking here. Ask Anthony: How Do I Find a Civil Engineering Internship? 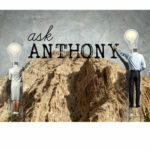 Ask Anthony: Proverbial Fork in the Road – Technical Track or Management Path? 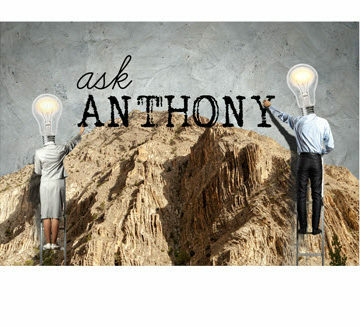 Ask Anthony: Why Is It So Important to Get Your P.E.? I’m a non-traditional student, meaning I started college at 33 years old on the 9/11 GI Bill and I’m also a transfer student. My first two years, I attended a community college to take care of all of the general education requirements prior to transferring to a 4-year university. To make that transition easier, I researched the 4-year universities I wanted to attend, printed out degree plans for each and then made sure I took classes at the community college that were equivalent. This will not always guarantee that those classes will transfer, especially if the classes are taken in a different region than the university you plan to go to, but it is a lot easier to knock out US History and Composition in a 30 person classroom rather than a 100 person lecture hall. And besides, if you finish your degree at a big university, nobody will ever know you went to a community college, if that’s something that worries you. I also immediately set my sights on getting a summer internship. I got lucky and scored a PATHWAYS internship with the US Army Corps of Engineers and even though I hadn’t touched a single civil engineering class at that point it helped me to understand exactly how the field worked and what to expect upon graduation. Currently, I am starting my junior year at Boise State University. I am not sure whether I should do another summer internship or take summer courses to move the degree along faster, but I have already started applying for internships just in case I decide to go that route this summer. I also have selected to study geotechnical engineering and to minor in environmental sustainability as well as pursue a master’s degree. I have learned that it’s okay to be unsure of your next move, your next semester, etc, but as long as you take steps early on to prepare yourself for all the options available, it makes life that much easier when you finally decide to choose a specific path rather than realizing that path at the last minute and scrambling to get things in place. Trust me, I am the master of doing things last minute but in this case, that is a habit you will want to break in your very first semester at college.